The primary function of the Church revolves not around temple service but around something much larger, something that the worship within the temple actually points us to: the call of philanthropy and community. 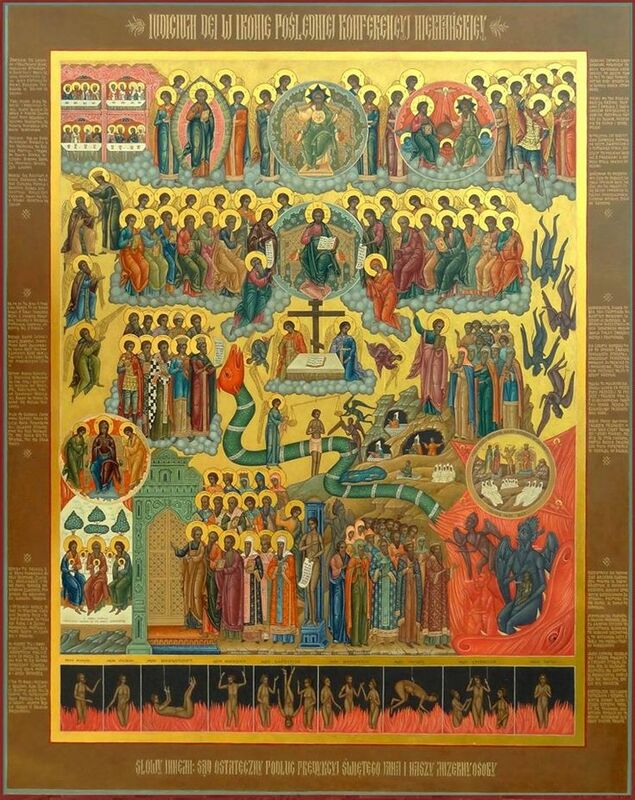 We have seen that even Christ himself says that when we pass to eternity, at the Last Judgement, we will be judged based on this philanthropic calling (Matthew 25). Modern man has changed the dynamics of the Church and the American church has fallen victim. Through one of the strongest secular cultures of all time (America): From the Revolutionary Rebels gifting the government to secularists, to the Civil War Yankees granting the states’ rights to maintain her own communities to the feds, Americans continue to take their country further and further away from traditional community and Christianity in general. With secularism in full swing within America, the American Church has now been squeezed in to the temple with nowhere to go. Her ministry of feeding the poor, taking care of the orphans and widows, hospice, education, etc., has been taken by secular society. But rather than voicing to the public that we are responsible for these ministries, and that we insist on centering our Christian community around these ministries, we shift our attention back to the temple. This of course causes all types of problems such as debates about the service itself and how the liturgy is to be practiced, etc. These types of debates have always been amongst us, but now it is worse than it ever has been. Because of our herding into the temples within America and other more secularized countries, not only have we lost our philanthropic ministries and community, but we have replaced it with a new type of community, that which the corporations and government have allotted to us: Consumerism. We will cover more about the American disaster in a future chapter, but let us move on, for now, to the traditional model of Christian community. The antithesis to the American society of consumerism is the Christian Community of asceticism…traditional, fervent asceticism, where philanthropy is foundational. Asceticism is a foundational aspect of the faith, but not everyone is to embrace it in the same way. Christ and the fathers require us to fast from food at times, as well as luxurious lifestyle, etc. But we do not isolate these things and make them avenues to God in and of themselves. When John refers to asceticism not being the way to God, he is referring to the legalism which was practiced of sacrificing luxuries and necessities for no reason but of ones own interest. Yes, we should fast from food and other materials of life, but if we do not then apply this newfound sanctification to our lives by helping others, then what good is this sacrificing? Some of us become monastics, and these monastics emphasis more on the prayerful and mystical ministry of the Church, whereas most of us will not be within the cenobetic community of a monastery. We will be out within the empire hustling and bustling to provide for our families and friends, helping one another with the daily struggle of our community. Most of us will not be floating in front of our icon corners! 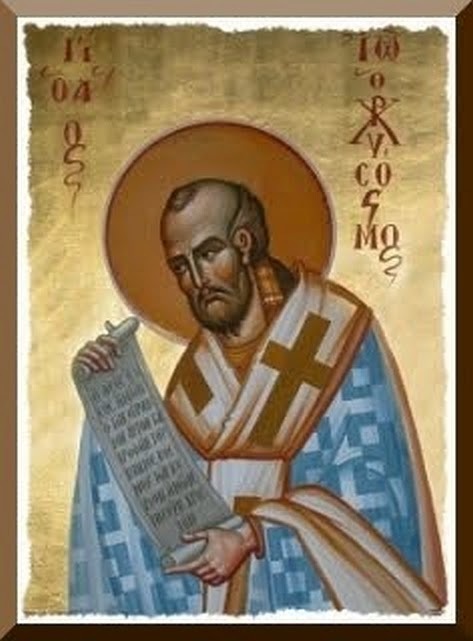 St John Chrysostom preached on the ancient subject of eleemosyne, a word which is hard to translate to English due to theological relativity to society. Eleemosyne is an actual behavior that expresses itself in acts of compassion to others. It is also a power that leads God to people and people to God. All throughout St John’s homilies he spoke of community as directly connected to the philanthropic calling of the Church. He would also speak of our liturgy as a direct connection to philanthropy. “If you do not find Christ in the beggar at the church door, neither will you find him in the chalice.” We could go on and on with quotes like this from St John Chrysostom. 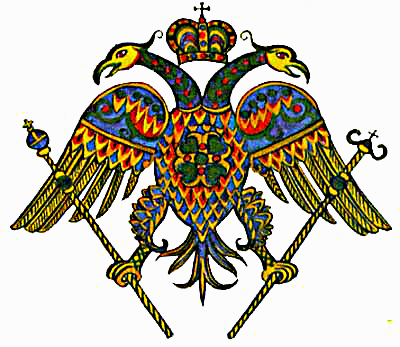 He was clearly the greatest Patriarch of the Orthodox Empire we have ever known about. He wrote our Divine Liturgy, paving the way for the Church to expand like no one but Christ could possibly imagine. Orthodoxy….built by the poor and for the poor! From the Christians in the early catacombs caring for one another to the legalization and communal organization of Christianity, the Church began to flourish directly in to Christ’s law. As the influence of the monastic and ascetic life continued to influence the Church and the Church began to win over the respect of the State, monasteries began expanding and forming communities for the entire Christian communities. In Fourth century Cappadocian Asia Minor, Saint Basil the Great began Christian communities that were tightly woven around the local church and managed by the local clergy (see Wealth and Poverty in Early Church and Society, Ch. 17). These Basileias were usually located just outside the cities and always had some type of hospitality ministry such as a hospital for the sick (this was the very invention of the hospital), temporary housing for the poor, and training centers for the poor and other needy for learning trades. What Saint Basil did was manifest the very words of Christ by engaging society not with generic handouts, but with the love of the Church. When the many immigrants entered one of these communities, they knew that the help given to them was from God! 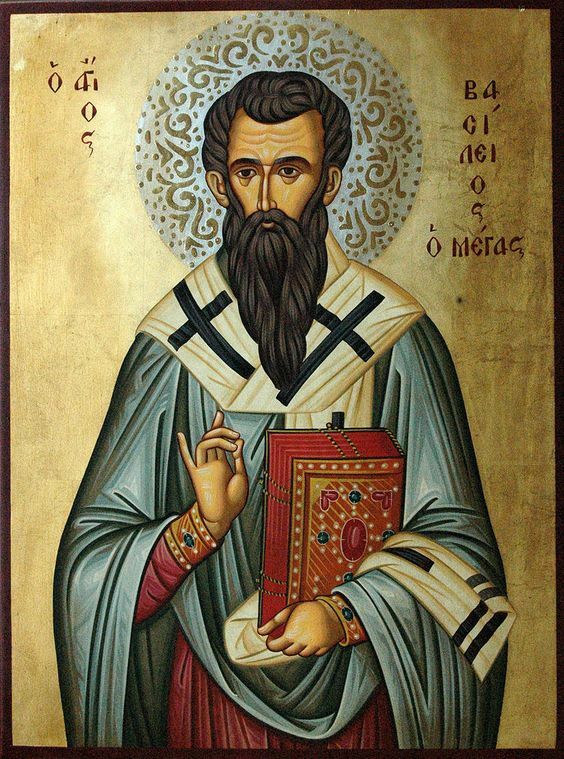 Like Saint Basil and Saint Chrysostom, Saint Athanasius I was also considered an “ascetic.” Athanasius was the Patriarch of Constantinople in the early Fourteenth century. Athanasius’ goal within the patriarch was to successfully merge the hierosyne and the basileia, which is the priestly authority and the imperial authority. We know that now as the “relations of Church and State.” For Saint Athanasius, the State was to be the guardian of the Church and the Church was to be the counselor of the State. Both authorities were to have a mutual relationship for the bettering of God’s Kingdom and the culture at large. One may say that the above definition is exactly what we in the west practice, to which I would completely disagree with. The last part of the quote, “for a joint economical activity,” is a crucial part of the definition. It is not a “joint economy” of sort when a secular government who is funded by multiple secular corporations trump the people who desire to create, for instance, a monastic cenobium! It is impossible to accomplish this in a capitalism that is controlled by secularists. Throughout the classical period of the Church (the first millennium), many of the fathers spoke out against the sinfulness of various cultures to ensure that the Church would not fall in to these sins. (See Reforming the Morality of Usury, by David W. Jones) As opposed to a modern capitalistic economy, a Christian economy – as the fathers have instructed us to contribute to – would grow naturally where new industry would be sprung off the existing due to an overwhelming supply and demand. But usury allows anyone to trump an existing and humane industry with an industry that is simply more likely to make a faster buck. It’s forced production verses natural production, with forced production always winning due to the amount of money it is able to immediately harvest to take out the competition. It has gotten so disgusting that usury is now an advantage for the wealthy (who are now a majority of unethical people) and a severe disadvantage for the poor. St John Chrysostom says many things about this, like do not even approach the chalice without first serving the poor (paraphrased). Other prominent saints like St Symeon the New Theologian teach us about not even owning property, rather having property together, similar to the monastics (but without the strict asceticism, of course). What we know now as “The Byzantine Empire” did not come about by accident. It came about by truth! It came about by the Church being obedient to Christ and his apostles. One might say, oh the Church is not preventing us from doing such and such in society. It is not that the Church is compiling doctrine or argument against such a calling. On the contrary, the Russian Orthodox Church is certainly accomplishing this calling within Russia, rising out of the persecution they had for 70 or so years, to nourish their roots and remaining gardens, so to speak. But what about the American churches? What do they say about their community failure? Do they admit to it? If so, what is to be done? Vote within the secular system for a secular worldview to prevail? Another argument might be, well the Church does not have to be the head of humanitarian efforts. To this we can remember the Soviets. When the Bolsheviks first took over Holy Russia one of the very first things they did was completely sabotage their humanitarian ministries, placing them all under the yoke of the atheistic regime. They did this NOT BECAUSE THEY ACTUALLY CARED FOR THE PEOPLE, they did this because they knew this was one of the main arteries of the Church. Healing the sick is a spiritual task, even though it involves much physical task. Caring for the orphans is a spiritual task, even though it involves much physical task. Spiritual tasks, according to Orthodoxy, is not only heavenly, it is earthly! Matter matters! “The Byzantine legacy offers us paradigms not simply to reproduce but to emulate in new conditions and with new understandings. Henceforth superior patronage will not be enough. The Church will never again, perhaps, be entrusted by the wider society with the sole care of its philanthropic missions. But the Church did propose to society in times past, and can do so again, that the starting point of all philanthropic action is an anthropology of love;; a divine anthropology;; an iconic philosophy that values all men and women as symbolic and transcendent images of God incarnate. The Church was able with that new vision of the dignity of humankind, to steer away from charity as merely a patronizing emergency relief to token cases of an underclass no one really wanted to liberate. Beside the fact of our spiritual calling having to manifest physically (Church meets community calling and command) the obvious is also surrounding us, like the fact that without the Church’s spiritual authority in a matter, the task becomes a business and not a ministry. Babies are killed, children are abused, the poor are exploited, the land is abused, wars become unjust, etc. But there is nothing we Americans can do now that we are completely overtaken, right? Well, there are many things that we can do, but first, let us believe. In other words, how can things ever change if we will not even acknowledge the very disastrous situation and heresy that we are in? Once we acknowledge the predicament we are in, then perhaps God will enlighten us to be able to see our way out. This is how he works with us, he lights our path with his theology. We cannot pretend we already know where the path is. Simply put: Many of us are in the dark!